Dragon Quest XI: Echoes of an Elusive Age on Nintendo Switch still does not have a firm release date, but the team behind the game has revealed that it's being developed using Unreal Engine 4. The news came from series creator Yuji Horii, who spoke at Epic Games Japan's Unreal Fest East 2017 over the weekend. Several attendees confirmed the information on Twitter, as reported by Hachima Kikou (translated via Gematsu). Dragon Quest XI on Switch should theoretically be closer to the PC version. According to the report, there were issues due to Unreal Engine's later support of the Nintendo Switch. Dragon Quest XI on PlayStation 4 was also developed using Unreal Engine 4, but it used version 4.13, as the engine has supported the PlayStation 4 for some time now. Dragon Quest XI on the Switch is being built with version 4.15 (and beyond), which was the first version to offer Switch support. 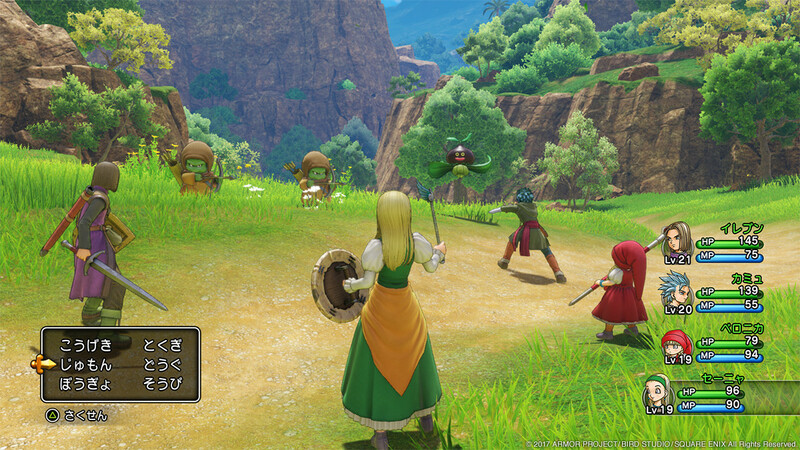 The use of Unreal Engine 4 for the Switch version indicates that the game will likely be closer to the PlayStation 4 version of Dragon Quest XI, rather than the 3DS version. That's been a big question for fans, given how different both releases of DQXI are. Dragon Quest XI: Echoes of an Elusive Age is planned for a Western release in 2018, though platforms have yet to be announced. The Switch version of the game still lacks a firm release date in any region. Tagged with 3DS Handhelds,	News,	Nintendo Switch,	PlayStation 4,	Role Playing Games,	Square Enix.